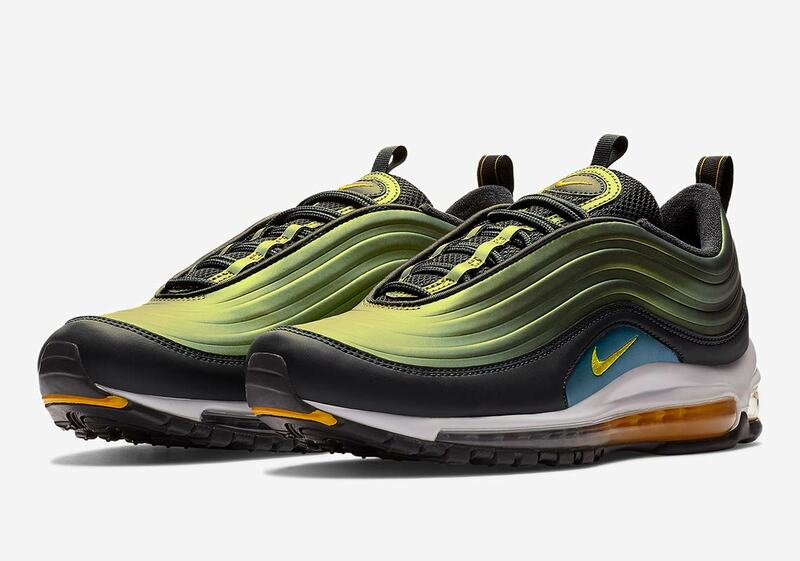 The Nike Air Max 97‘s boundless slate of styles and colorways has continued expanding at a rapid rate through the winter months. 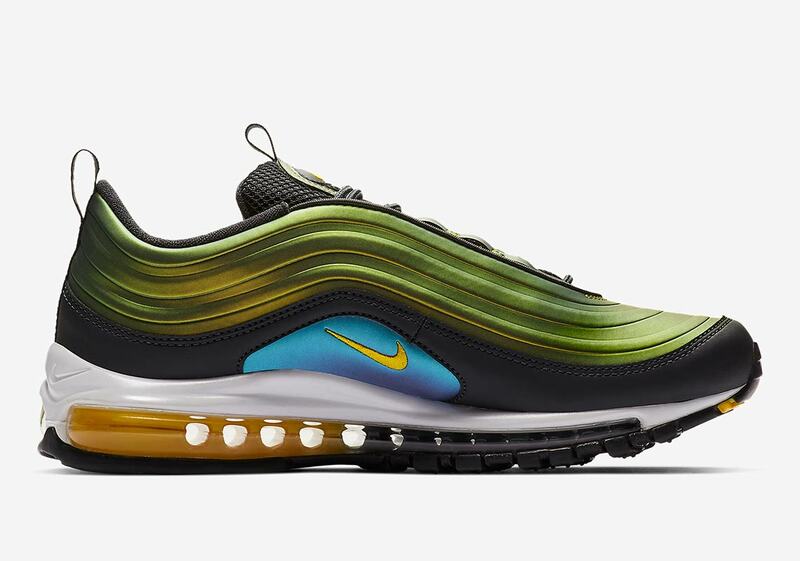 Now, the latest fresh makeup to surface — an Air Max 97 LX — is taking things up a notch, featuring a brand-new method of embellishment. 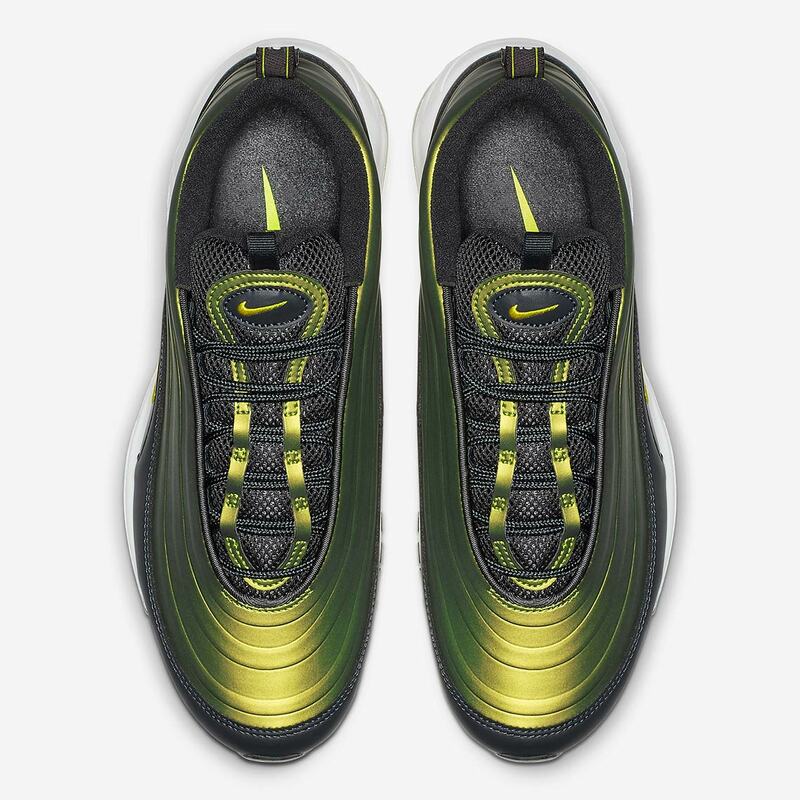 The shoe’s most noticeable design feature is unquestionably the synthetic upper shell that arrives in place of the standard layered design, giving off a look that’s almost Foamposite-esque. 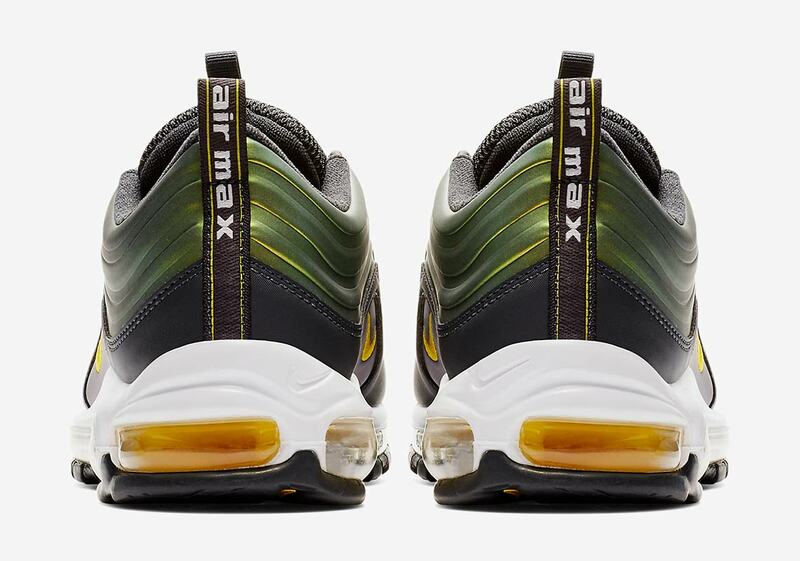 Apart from its interesting alternate styling, this Max’s new design also boasts a unique yellow-green sheen that shifts in color depending on the viewing angle. 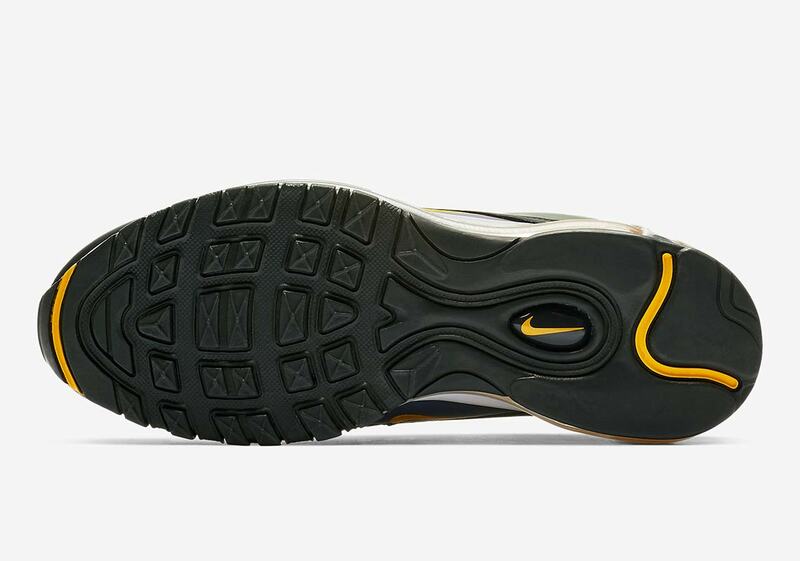 The rest of the shoe is kept much more simple to let the upper command the majority of the attention, as dark anthracite accents appear on the tongue/mudguard, while pops of yellow/blue detailing an a two-tone yellow/grey Air Max unit add just enough extra style. 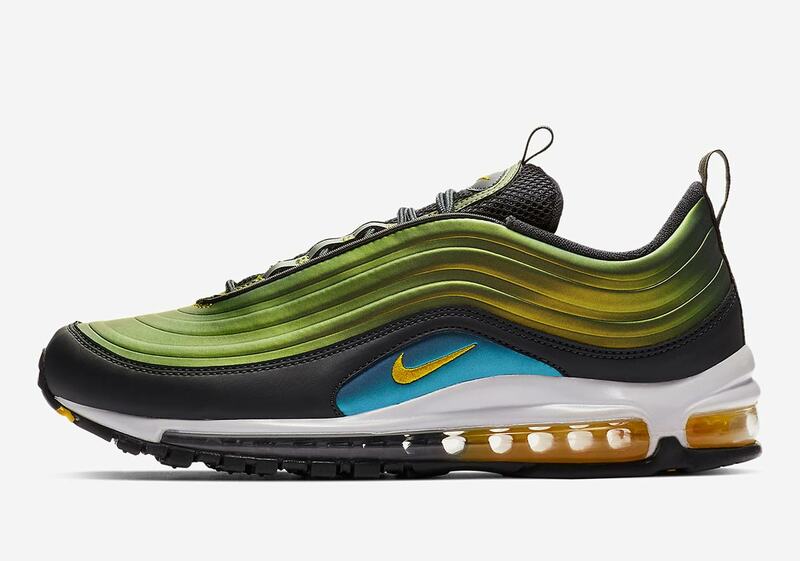 These new 97s will release February 7th on Nike.com and at select Swoosh Brand stockists, so get ready for the drop and check out a full set of images below while you wait.